the most commonly used crochet stitch. Since it is taller you can create designs that are more defined and lighter than with single crochet. Yarn over and draw the yarn through the first two loops on the hook. Yarn over again and draw the yarn through the rest of the loops. Repeat the above steps until you have worked the number of stitches called for.As you can see, crochet stitches are built from the top. This is why you must work a certain number of chains at the beginning of each row to reach the height needed to work your stitches. 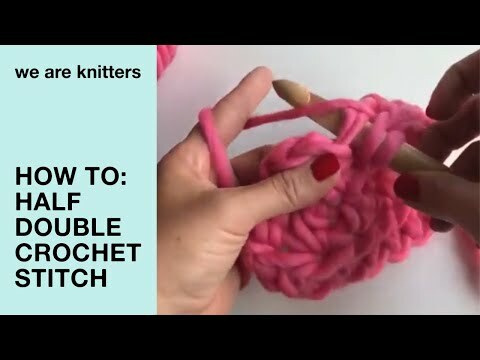 Double crochet is three chains tall, so at the beginning of a row of double crochet you have to chain three.These chains count as the first double crochet, so the following stitches should be worked starting with the second stitch from the previous row.